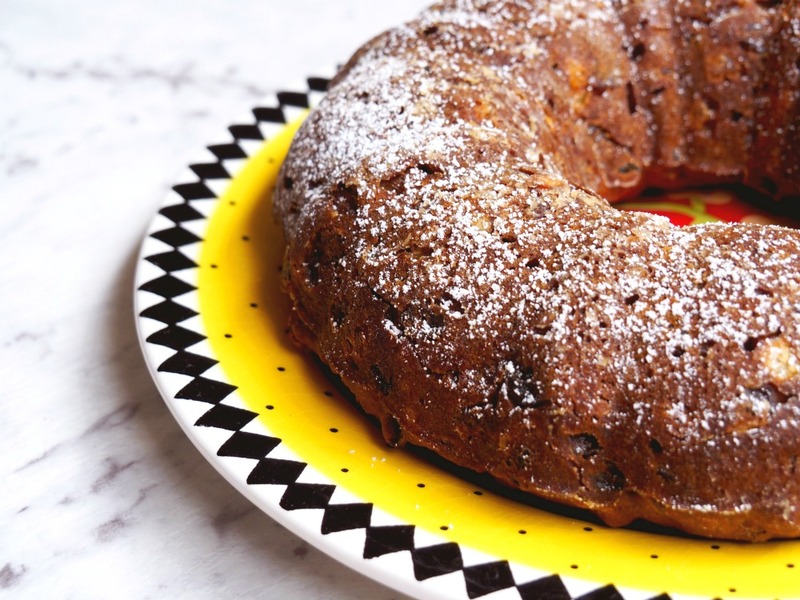 The best thing about this cake is that because it uses tinned fruit, you don’t even have to wait for mango season to make it! 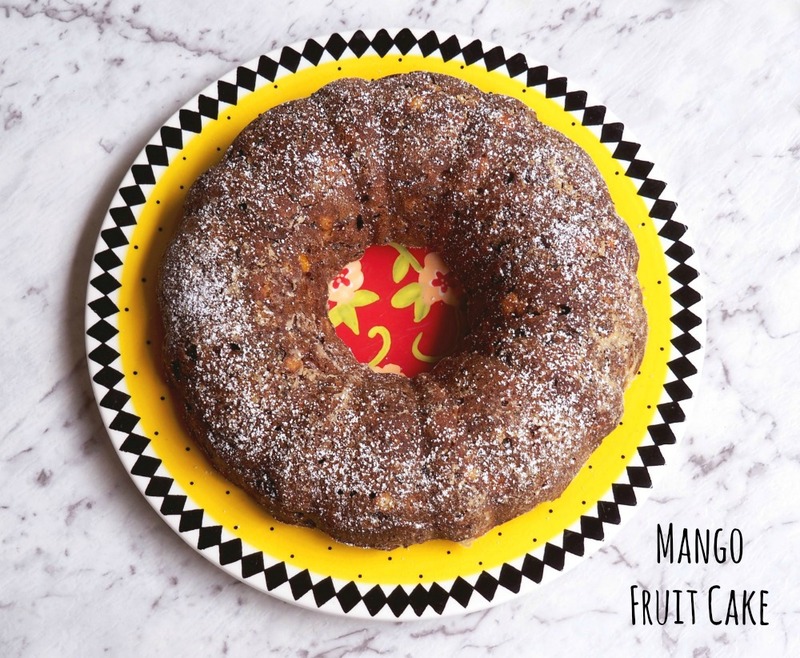 Now I always keep a tin of mangoes in the pantry – so I can make my just in case cake! What’s your love language? Do you take cake to the hairdresser’s too? Preheat oven to 160C. 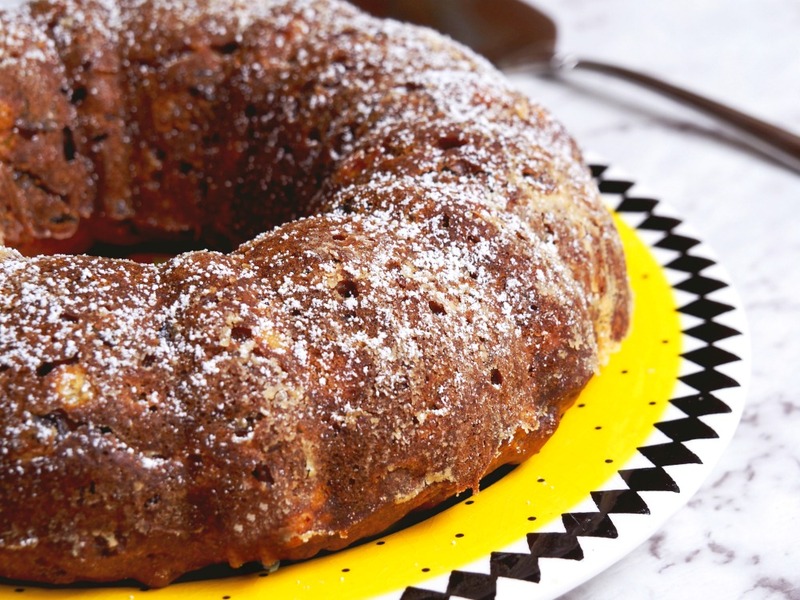 Liberally brush your bundt tin with lots of melted butter and then dust with flour. 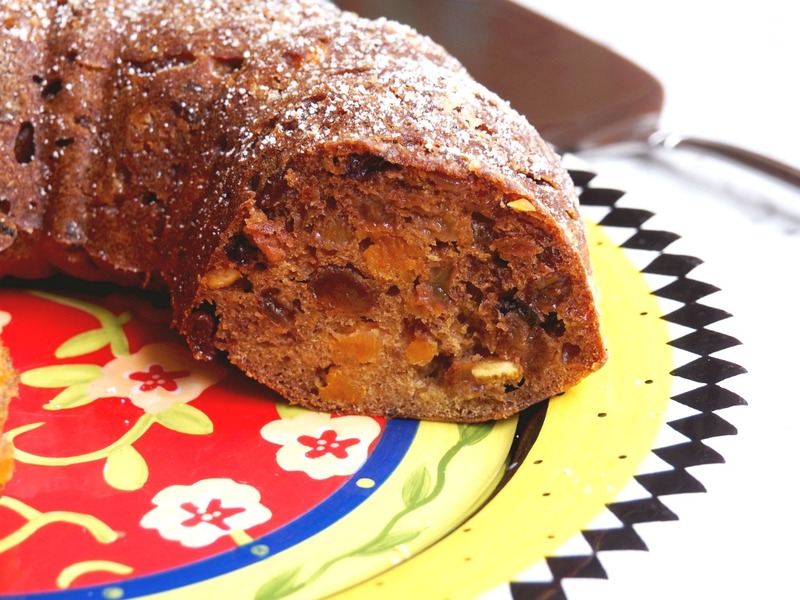 Shake off the excess flour and set tin aside. Drain the mango slices reserving the juice. Roughly chop the mango and set aside. Place the mango juice, mixed fruit and 1/2 cup (125ml) water in a saucepan and bring to the boil. Reduce heat and simmer uncovered for 1 minute. Remove from the heat and allow to cool to room temperature. Sift together the flour and bicarb and stir into the fruit mixture with the eggs and mango pieces and mix until well combined. Pour mixture into bundt tin and smooth the top. 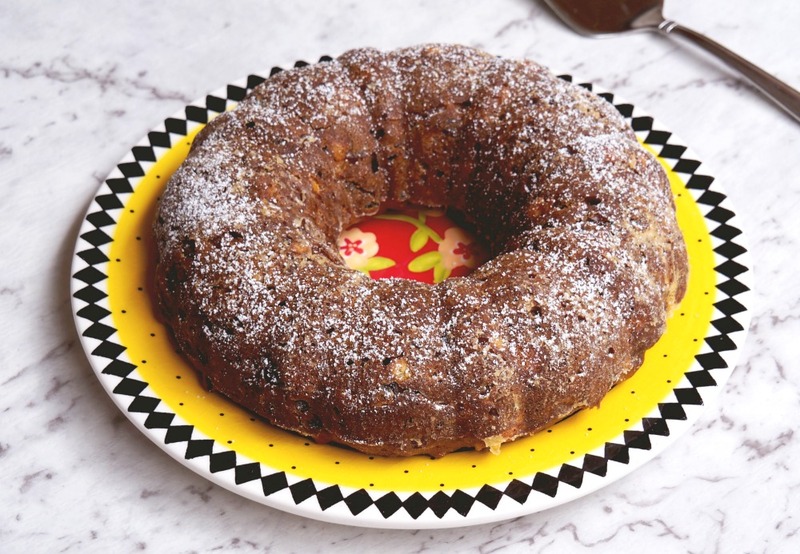 Bake for about 40 minutes or until a skewer inserted into the pan in the centre of the cake comes out clean. Allow to cool completely in the tin before turning out onto a wire rack. Place the mango slices and juice, mixed fruit and 1/4 cup (60ml) water in TM bowl and heat at 100C on reverse speed 1 until the temperature gets to 100C, this should take about 3 minutes. When the temperature hits 100C, lower the temperature to 90C and cook for 3 minutes on reverse speed 1. Allow the mixture to cool for about 10 minutes. Lightly beat the eggs and add to TM bowl with flour and bicarb. Mix for about 30 seconds on reverse speed 3, scraping down sides of bowl half way through. TIP! 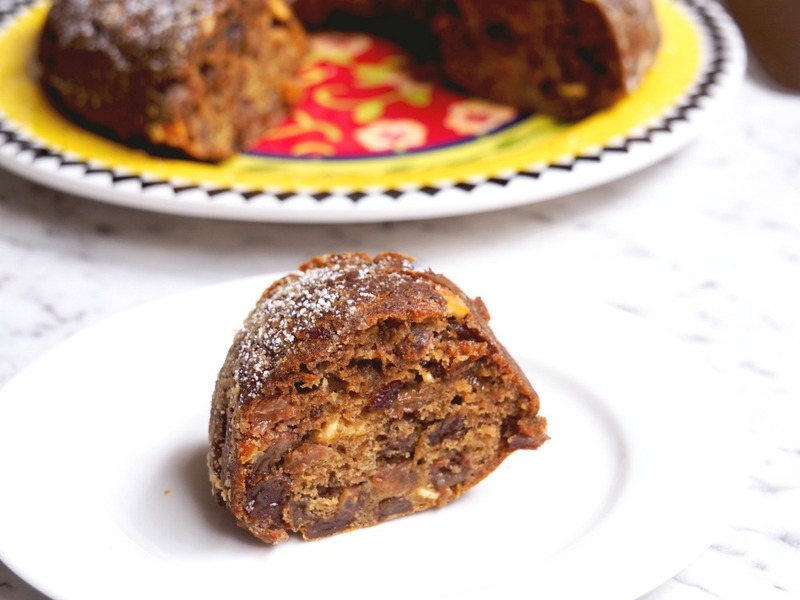 You can also make this cake in a loaf tin – just cook it for about an hour. If the cake browns too quickly, lightly cover with a piece of foil.